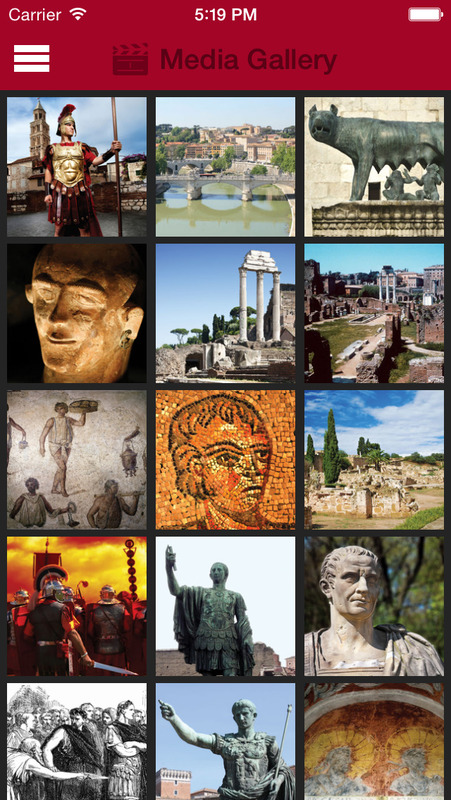 Ancient Rome is the perfect app for exploring the rich history of Ancient Rome. Learn all about the fascinating rise of the Roman empire, the Caesars, the Gladiators and the Roman Republic in fun, engaging and interactive ways. Learn and play at the same time through a variety of games like Memory Match, Jigsaw Puzzles, and the Magic Square among others. Explore Ancient Rome and Roman Gods through a wealth of amazing images (which you can e-mail to friends!) videos and informative articles. And as it’s from Encylopædia Britannica, you can be sure it’s appropriate and safe for the whole family. Exclusive Encyclopædia Britannica curriculum-based content with high quality videos, images and captions written specifically for ages 8-14. Map – With this amazing tool you can locate where you are anywhere in the world. Want to see the where the nearest ancient Roman structure is? It’s easy with our map tool, and you can use the zoom feature to see the location up close. 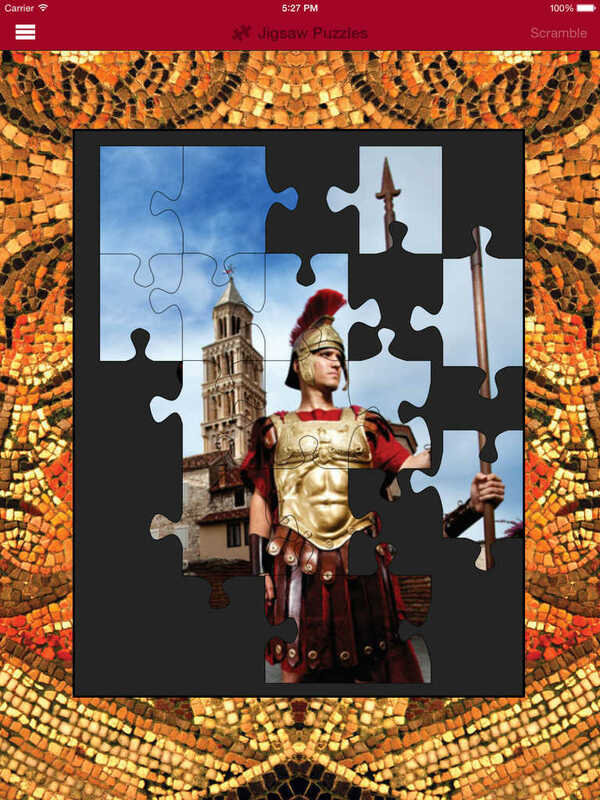 Jigsaw Puzzles, created from classic Roman images. Break apart the puzzle and have some fun by shaking your device (iPod touch and iPhone only) and then sliding the pieces back into place to complete the puzzle - it’s not as easy as it looks! 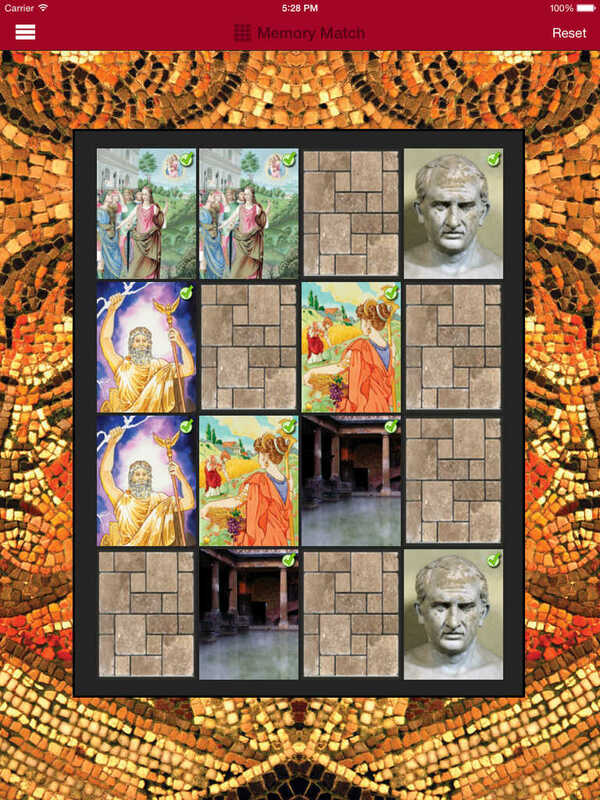 Scramble images of Ancient Rome in The Magic Square game by shaking your device. Challenge yourself by re-arranging the squares to unscramble the image. 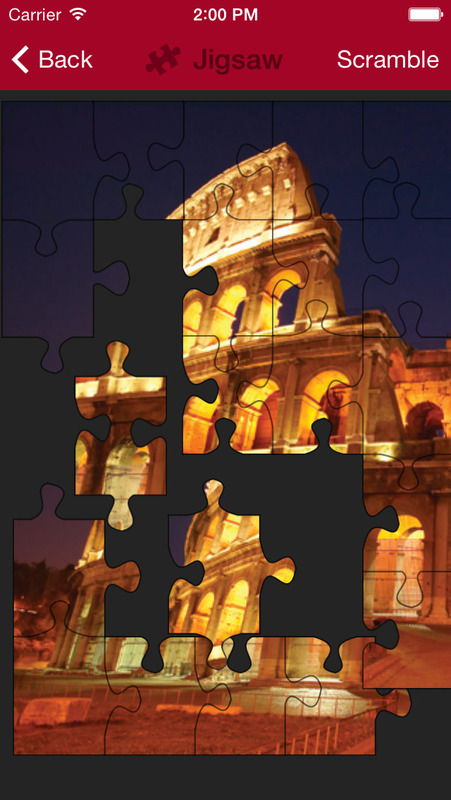 Brush off - brush the layers to reveal images of famous ancient Roman structures and then try to guess what they are – how many can you answer correctly? Test your knowledge on Ancient Rome with the Quiz feature - how much have you learned? But hurry: you must answer quickly as the quiz is timed! Why not take your exploration of the Roman Empire a step further and link to Britannica’s online services – Britannica Online for Kids or Britannica Online – to continue your discoveries.